The Mallorcan Ensaïmada is also available with an exceptional orange cream made from the intense tasting and untreated oranges of the valley of Sóller. The Ensaïmada, may be enjoyed plain or with its' mouthwatering, orange filling and is a very popular and extremely tasty pastry product with a long tradition. A typical handcrafted product that may only be created by an experienced pastry chef to ensure that it retains all the characteristics. 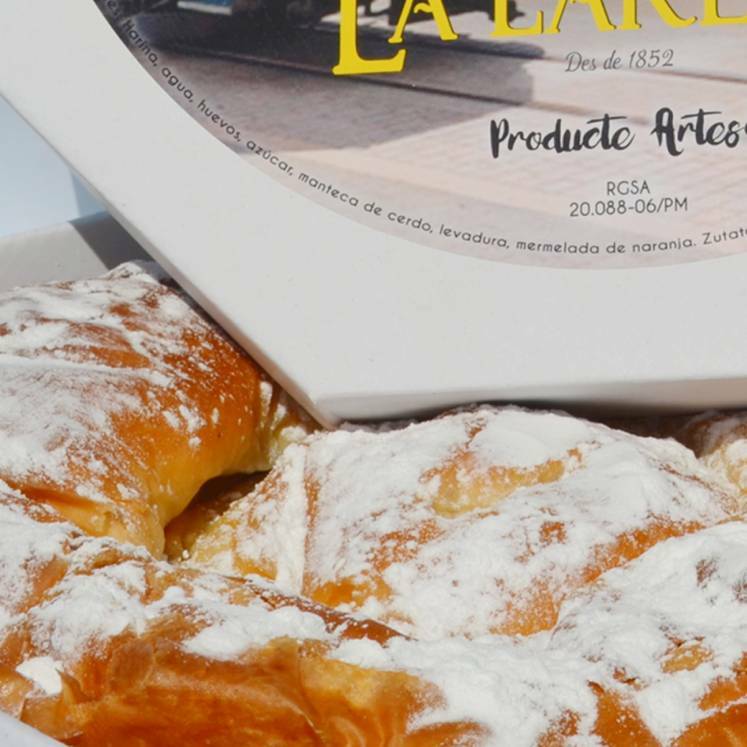 In Mallorca, the Ensaïmada are eiher eaten with the first or second breakfast, or are enjoyed as a dessert. It is often savoured as an in-between-time bite, and accompanied with a cup of hot chocolate! So, taking into account the above mentioned, you might have noticed that it is actually ideal for any time ...! Flour, water, eggs, sugar, orange, lard and baking powder.